Great to see your not binning the whole Brumby project mate! so keep the updates coming and with the help of some e85 that ej22 would love some boost haha. This is hands down the best build that has ever been on RSLC. I totally applaud your dedication to nutting it all out, R&D is a headache. 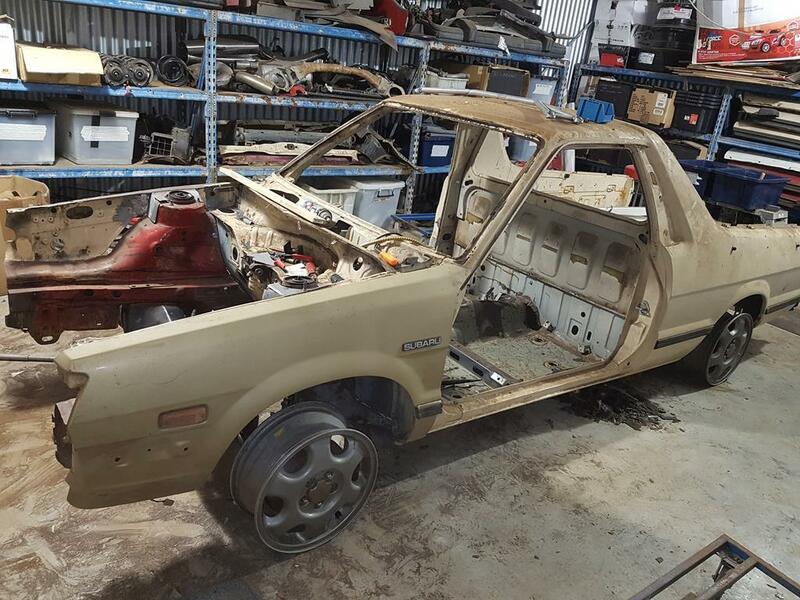 Look forward to more as you progress, This will be everything the brumby should have been, all 4 mcpherson struts, and real control arms, theres a bloody good chance it will handle, and be a rocket. Thanks guys - unfortunately I haven't been able to find much time to work on this for the last 6 months or so but I should be able to get cracking on it again now. Wraith - not 100% sure on engine yet - will build it using this EJ22 for now and may just put RS heads and a TD05 on it (both of which I just happen to have lying around). But will probably keep a lookout for a good front cut - preferably an STi. You clearly have not read the whole thread!! Not much progress of late. Cut up another Brumby to use the chassis rails as mine needed too much work since I had cut and welded them in a couple of places trying to figure out the best way to do it. And got hold of a twin headlight nose cone - spent the day figuring out how to make the nose cone fit on to the widened chasis rail - turned out to be quite easy really. 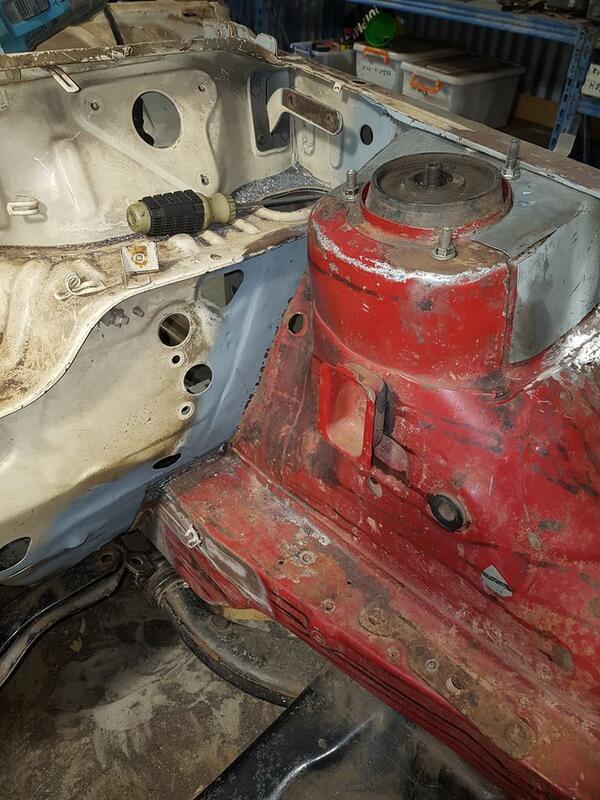 Trying to decide if I should move the WRX floor pan back 50mm to give me 50mm more room for the engine - but this means I need to get another floor and also means the driveshafts will be running on an angle. Last edited by niterida; 13th January 2013 at 07:45 PM. 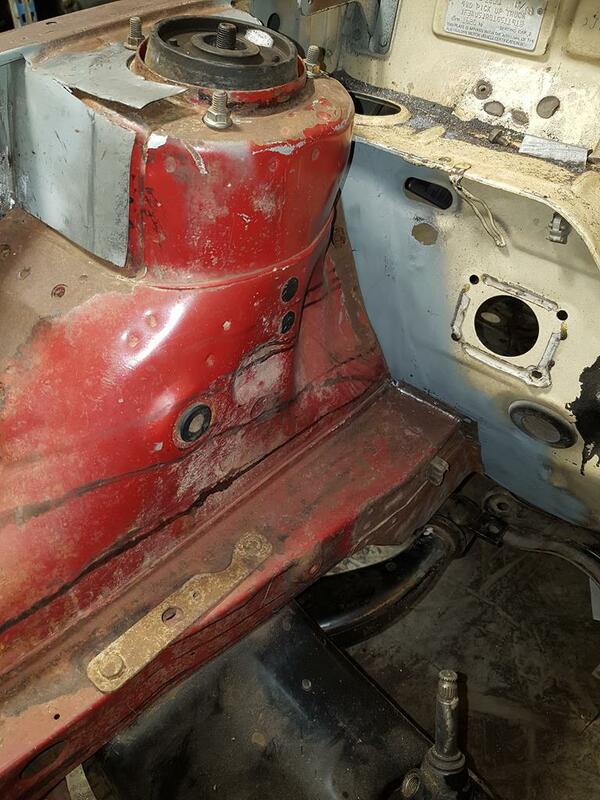 So I put the new chassis rails on the crossmember and put the engine and box in place as well - there is 75mm clearance from the front of the engine pulleys to the back of the Brumby radiator. Heaps of room for an EJ but really needs custom radiator to mount in the same spot as the Brumby one. Now the rotary motor is 25mm longer than the EJ and the gearbox adapter is 20mm - so that leaves 30mm clearance still - I might just be able to squeeze it in after all. And now that I have the RS and its stealing all my good bits from this Brumby I think I might change direction ever so slightly. The RS is going to be my fun daily driver with a bit of power, a bit of handling and some good looks. 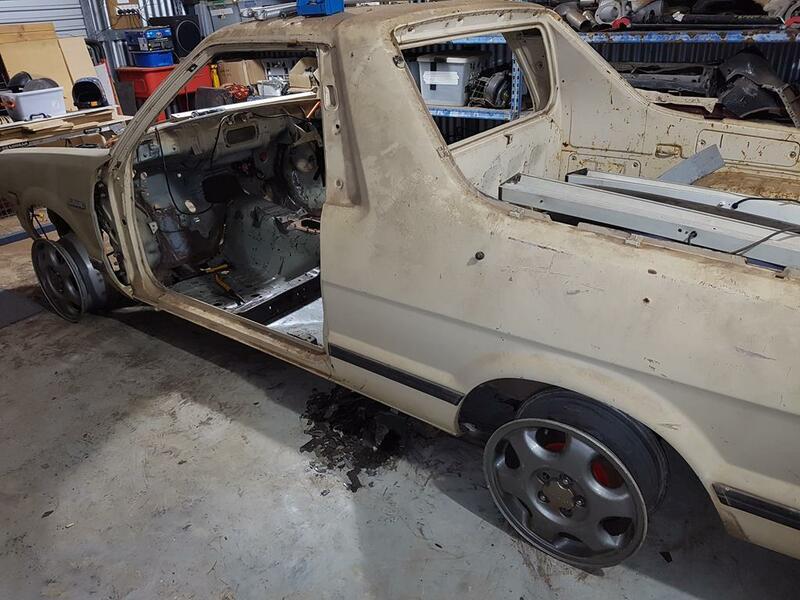 And I have bought a hatchback Torana and that will be built along the lines of a circuit car so will have andling as its priority. And that will leave the Brumby free to be more of a straight line weapon. So the plan now is to run an auto with aftermarket controller and paddle shifters. I want to put a 4 point roll cage in the tray so I thought I may as well run a rear mounted radiator and revisit the rotary motor idea. Has there been more info on this magnificent build? Progress has been glacial on this project due to many things, not least building a new house. And I built my house on the other lot so that there is no room for a shed on that side either. 1. Build a shed without council approval and hope they don't notice. 4. Scrap the project - I will probably be 90 by the time I finish it anyway. Option 2 and 3 are probably too expensive for me. So do you think it is worth continuing or should I scrap it and spend all my money on a full motion race simulator and VR ?? definitely see it through. i binned my frankenstien project and regretted it. Well I couldn't find a way around my shed dilemna - damn council regulations !!! What's the new owner's plans with it? 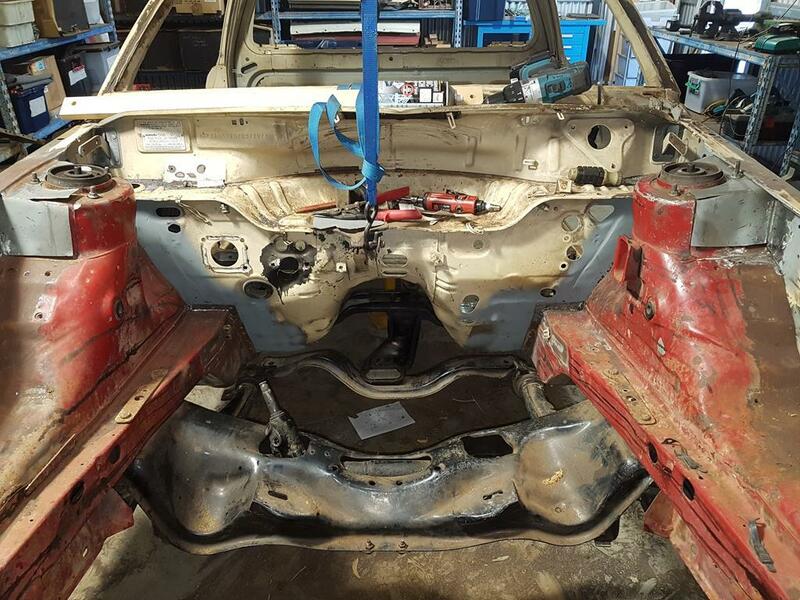 But seriously he is just going to complete it the way I had planned - body and chassis wise it was all done and just needed a couple of mounts made up for the lower control arms and rear control arms and then everything can be welded back on and drop in the WRX running gear. I hope you get to see the finished product! The worse thing is I had a choice of this block(s) of land right in the heart of town where I didn't really want to live (due to crime and noise etc) or 2 - 10000m2 blocks 5 -10kms away where I could have put up a 200m2 shed and lived in peace and quiet. But I haven't had any interest in selling my RS with a tonne of WRX parts for next to nothing so against the better halfs wishes it may be coming with us and just sitting outside under a car cover. Hopefully I can at least get it back up and running and reregistered. I have just read the whole thread start to finish and feel for you man. It was an interesting project and I am sure quite an experience despite not finishing. I think a lot of us can relate even if on a smaller scale. Life kicks you in the guts sometimes but dust yourself off and focus what is in front of you, not behind you .